An itty bitty possum is there in yonder tree. She’s in her momma’s pocket with Sammy, Ed, and Bree. Cause her momma feeds her dinner and takes her everywhere. I love to sing your poems!!!! they make me smile! What a life! The possum pic is awesome. Yeah! What a life…I’d be singing, too! 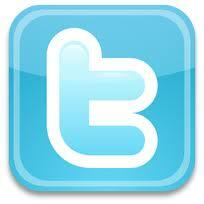 I love all your posts! I feel like I’m barely hanging on with the pace. So impressed with your writing! Adorable version! I’m not a fan of possums but this baby one is cute! Well…I decided if spiders could be itsy bitsy cutsy enough to be sung about forever….that possums ought to give it a try! Really cute, Penny – but that possum is really scary looking!! She’s singing! She is so into her own nursery rhyme! My what big ears she has! 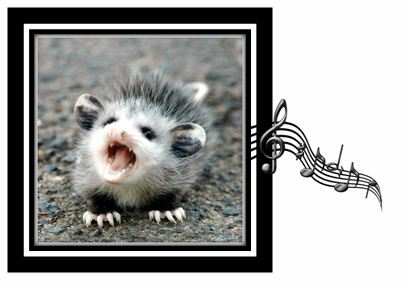 Okay, so when your blog loaded up, it stopped on the cute pic of the baby ‘possum. Before I had a chance to read your intro, I started to read your poem. I instinctively sang it to the tune of, The Itsy, Bitsy Spider. Maybe it was the words itty, bitty that clued me in. Anyway, as always, Penny you mangaged to put a goofy grin on my face. DELIGHTFUL! I think I’ve been describing your work with this word too often. I love the last line of your poem. In the words of Ms. Doolittle, “Wouldn’t it be loverly?” Going to look up a synonym for delightful.